I had never seen this until Laura Walz (from Powell River) emailed me these photographs. 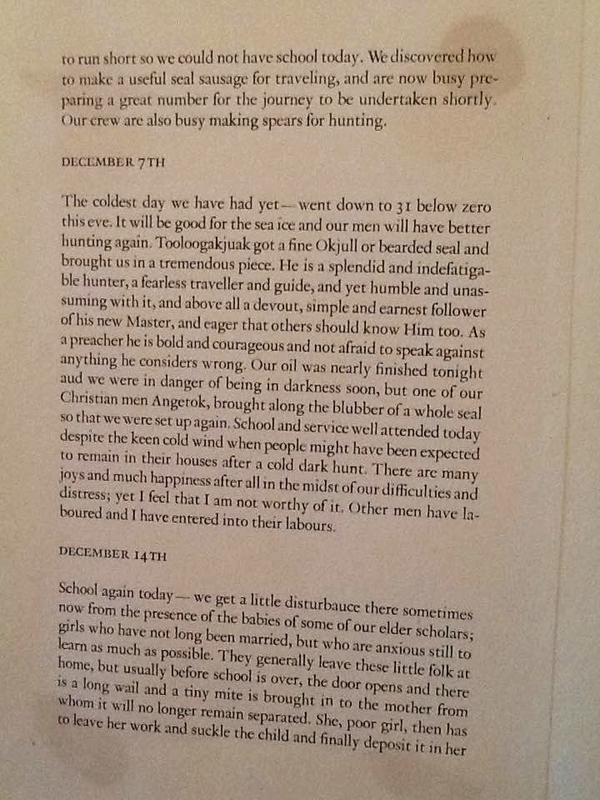 "Perhaps the Arctic Journal was a work in progress that was never completed. The signatures prove that an incredible amount of work went into it. If you know nothing of it, it must not have been published." 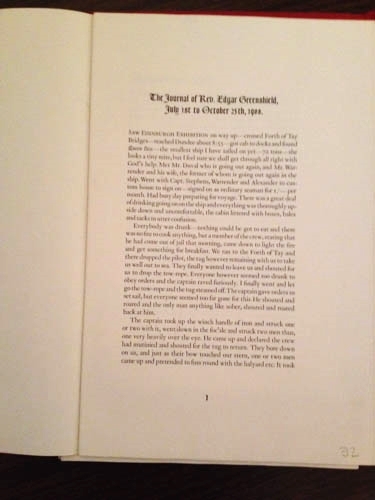 I did not have any context for this set type until Laura Walz sent me the printed pages from Wil called "The Arctic Journal"
"The coldest day" sentence seems to have been removed on the actual type matter after it was proofed. Laura says the Arctic Journal was in complete but since I have not seen it I can't say how incomplete. 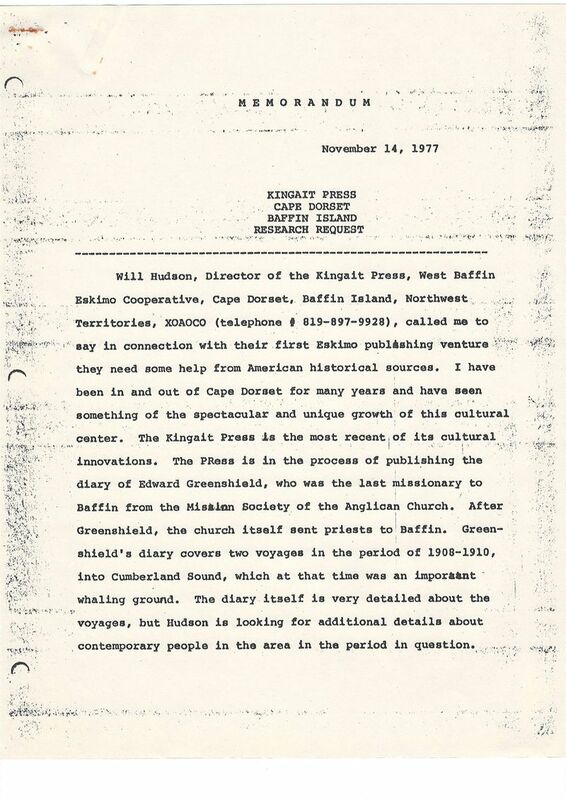 Wil copy of Rev.Greenshield report, collection Laura Walz. Kingsbury Browne was one of the ubiquitous friends of Terry Ryan and Wil Hudson..